I received compensation for this post, but all opinions are 100% my own and may differ from yours. I will only endorse companies, products and services that I believe, based on my own experiences (and love of coffee), are worthy of endorsement. If you know me or follow me on social media, you know I am a HUGE coffee drinker. Lucky for me, caffeine doesn’t keep me awake, so I drink it all day. I’m also picky about the brands of coffee I drink. One of my favorites is Community Coffee. One of the ways I enjoy Community Coffee is by making my bulletproof coffee every day. I’m on a low-carb, high protein, high-fat (good fat) diet and bulletproof coffee is my lunch most days. Make your coffee by brewing 8 – 12 ounces of coffee using filtered water. 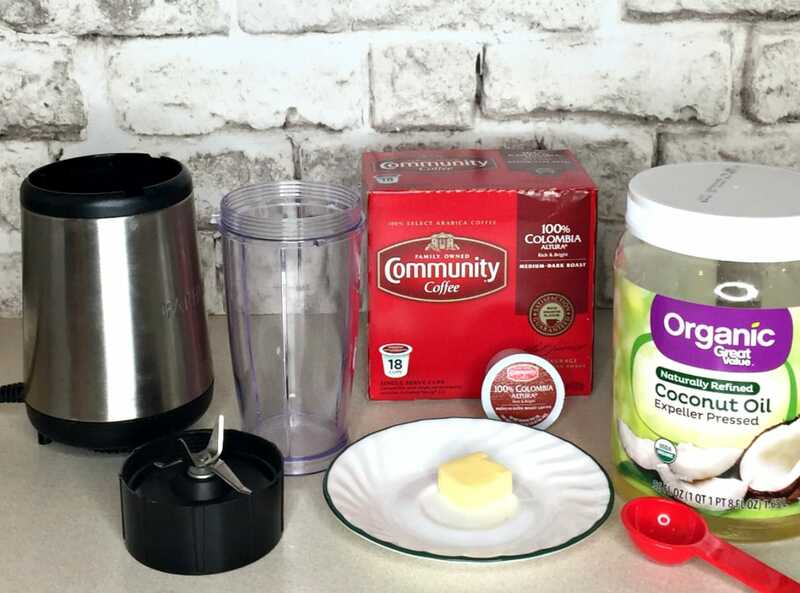 Add butter and coconut oil to blender cup. Pour in coffee and blend for approximately 1 minute (using a blender is a must). 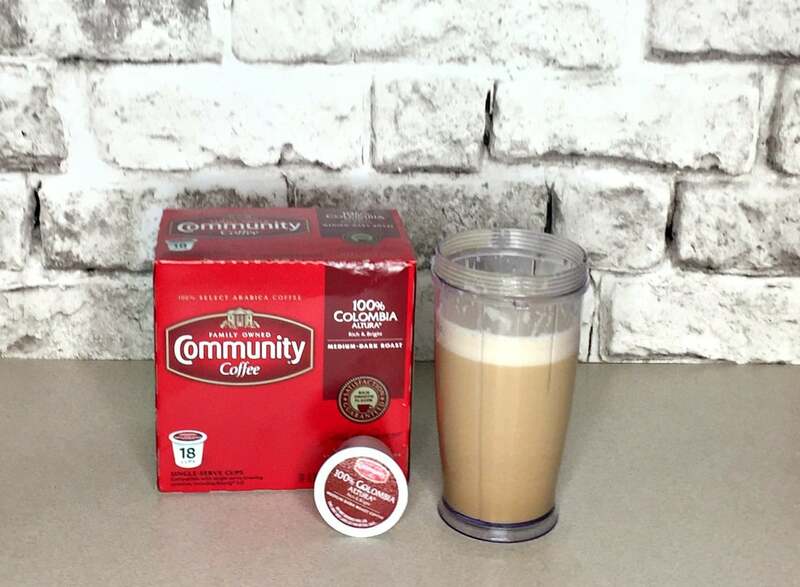 I also love Community Coffee Pecan Praline and French Vanilla, especially when I make iced coffee. Which is nice a hot summer’s day. What could be better than java? Honestly, not much. But saving money on your favorite coffee, now that’s better. You can save right now by opening your Valpak envelopes to find a coupon for $1.50 off any one bag or single serve box of Community Coffee. And what could be better than saving money on coffee, you ask? I’m glad you asked. Well, winning a Walmart gift card would be better. 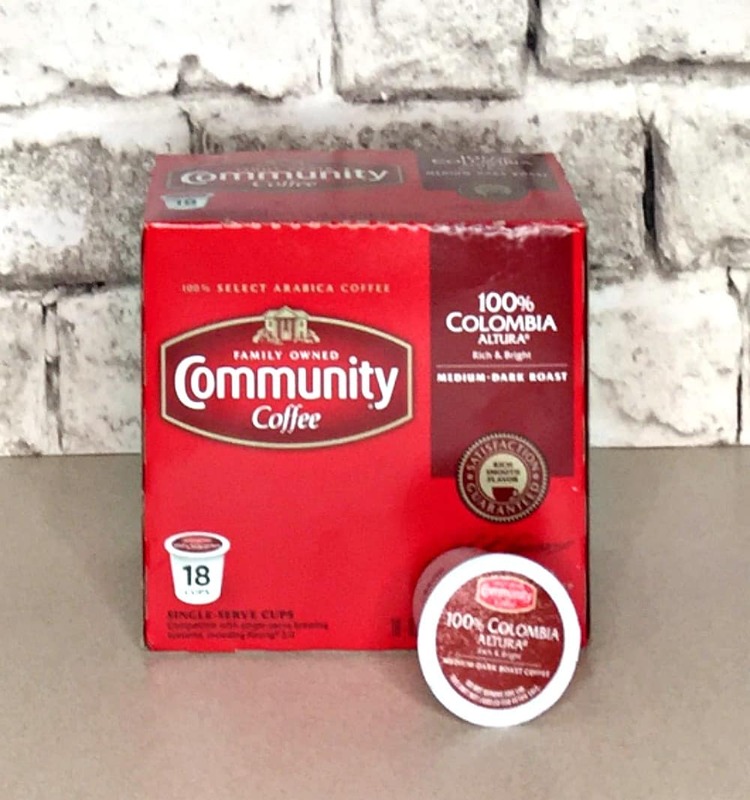 Just think of all the Community Coffee you could buy! Starts Monday, July 23rd at 12:00 AM ET. Ends Friday, July 27th at 11:59 PM ET. Winners will be chosen through a lottery drawing and notified on Monday (7/30) via the email address you used to enter. 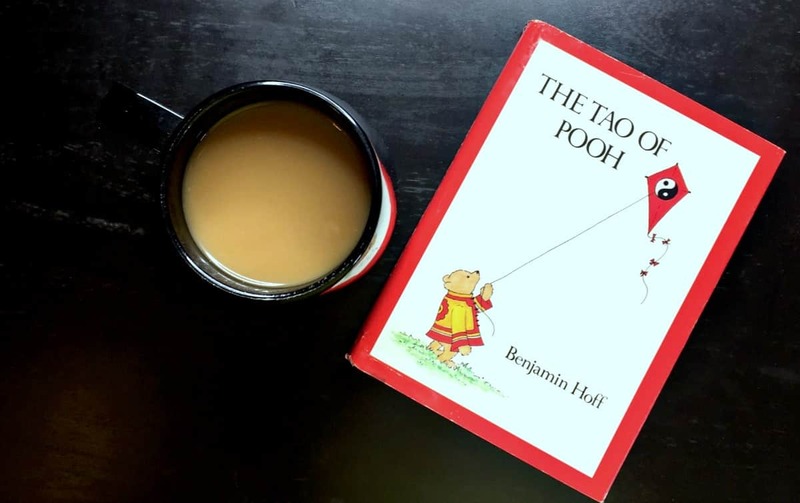 The best way I start my day is with a good cup of joe and a book, and I hope this coupon and giveaway will help start your Monday morning off on the right foot. 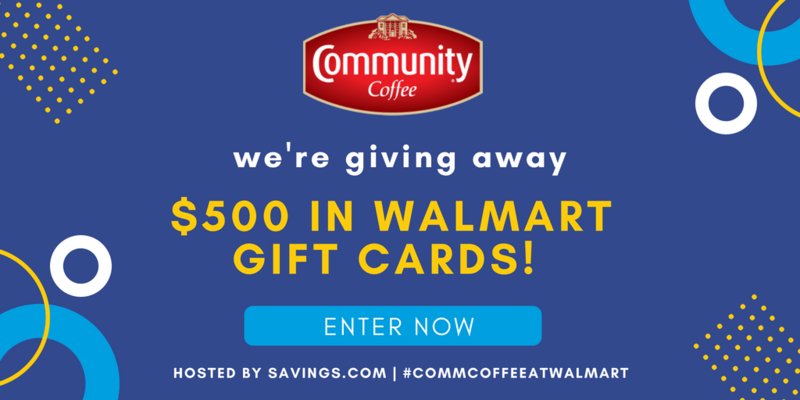 Be sure to open up your Valpak envelopes to get your $1.50 off Community Coffee that’s redeemable at Walmart, and enjoy the rich, robust taste of Community Coffee, even more, knowing you saved money. And hurry and enter the giveaway before it ends!